On January 8, 2017, Queen Elizabeth II and the Duke of Edinburgh, Prince William, Duke of Cambridge and Duchess Catherine of Cambridge attended the morning church service at St. Mary Magdalene Church in Sandringham, Norfolk. 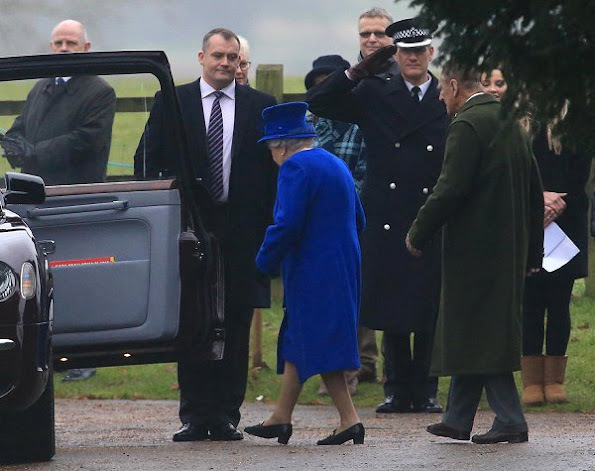 Good news that Queen is well again and looks the best out of all of them . 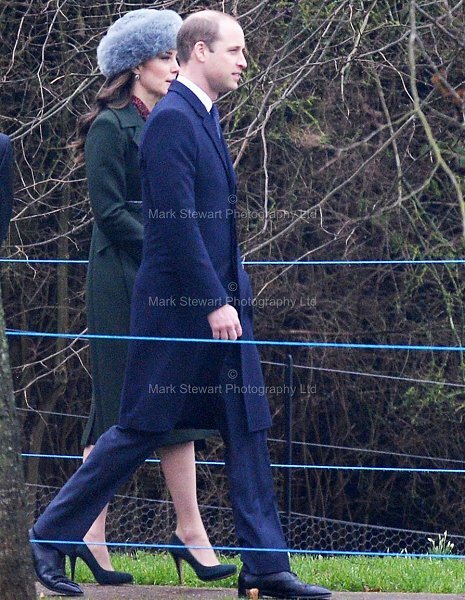 I love this coat on Catherine. It is so elegant. 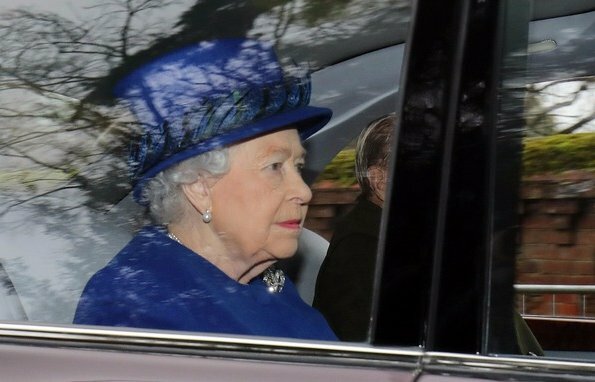 So pleased to see HM out and about. And hopefully feeling a lot better. 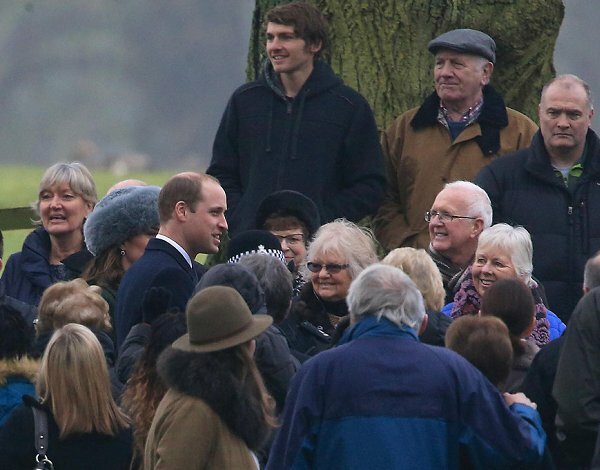 Nice to see the Middleton's had an invitation to join the Family at Sandringham. Tomorrow is Catherine's birthday. They have friends visiting as well. Everyone attended church this morning. This also happened last year. I think this just further clarifies that the Queen fully supports the Cambridges and is very accepting of the Middletons. Finally it is great to see the Queen. She looks great and always lovely in blue. You are absolutely right, Diane. 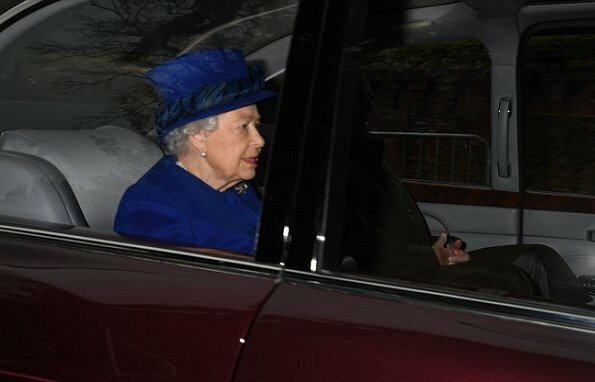 The Queen also made a point of driving with Carole Middleton in the front seat where photographers could see them last year--I think it was at Balmoral? They looked completely comfortable with each other. The snarky articles about the Middletons are tiresome. They are a nice family who clearly love and are supportive of each other--not perfect, perhaps, but what family is? Happy to see HM out again! And in such a nice royal blue. Everyone looks lovely, gents included and Pippa looks... like Inspector Gadget. Good to see the Queen looking well. Blue is definitely her color. Lovely!!! It's a huge relief to see the Queen out again. As a student of her face, I can tell the lingering effects of her heavy cold, but hopefully all traces of it will be gone within the next week or two. At the age of 90, extra special care has to be taken -- particularly in this extreme cold weather. Her commendable active schedule can resume, if she chooses, once the Spring arrives. The Queen's schedule is amazing for her age. It's good to see her out again but maybe indoor activities until spring would be a good idea. That colour blue certainly suits her. im very happy to see the queen up and about. and she looks amazing. the younger generation royals needs to take serious note, of the queen. she is dedicated to the responsibilty that she has.